In today’s Enterprises the network not only provides connectivity but provides a competitive advantage by enabling them to successfully deploy todays current datacenter technologies such as HCI and Big Data as well as allowing customers and employees to access the enterprise from anywhere and at any time while providing better automation and security through software defined hardware. WEI provides a holistic and software defined approach to networking by providing solutions in the Datacenter, Campus, Mobility and WAN. Evolving business requirements and the increasing need for more bandwidth, security and automation necessitates that businesses periodically evaluate their current network infrastructure and requires continuous optimization to meet those needs. WEI helps customers understand these issues by performing specific or overall network assessments. Data Center Networks play a pivotal role in today’s Data Center, as it interconnects all the data center resources together as well as provides data center interconnects to other data centers either private or public. The emergence of HCI, big data solutions and cloud solutions means that datacenter networking includes more software-defined and automation features as well as higher bandwidth with interconnects along with having to provide security. WEI defines mobility networks as the edge of the network where devices are connected through wired but more often wirelessly to the network. With the increase in network complexity due to an increase in the number and type of devices, Unified Network Access simplifies connectivity, achieves increased performance and reliability while providing for a single policy for security and single pane of glass management. For WEI Unified Network Access is not about a specific product but rather it is how your access layer network is designed, secured and managed. One area that benefits from SDN is the WAN. Software-defined WAN can enable enterprises to gain the benefits of improved agility and cost, but also other benefits such as better, more cost-effective transport options, better security, intelligent pathway control and automatic provisioning. Traditionally a campus network made up an interconnection of LANs within a geographical area. 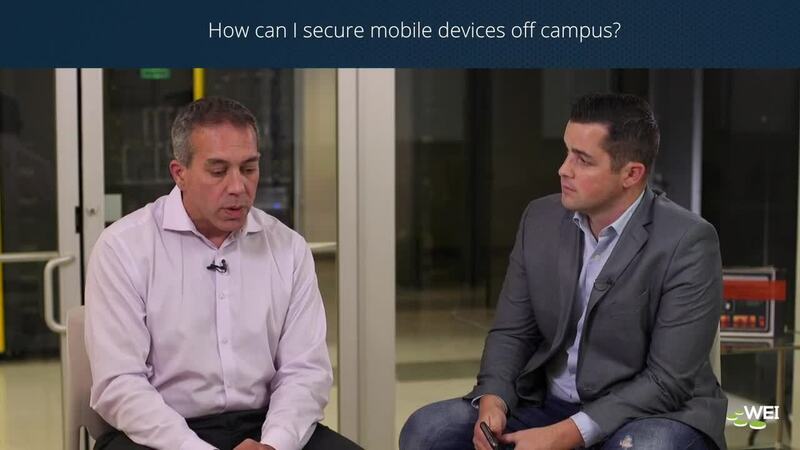 Today’s campus networks need to provide multitenant capabilities as well as seamless transport of networks from one end of the campus to the other, leveraging technologies such as EVPN and VXLAN.